EVER AFTERCARE is committed in rendering support services to working parents in a safe and child-friendly environment by taking care of their child(ren) after school with regards to their physical, academic and general needs. Homework is a priority and done under supervision, while recognition is given for diligence and good behaviour. 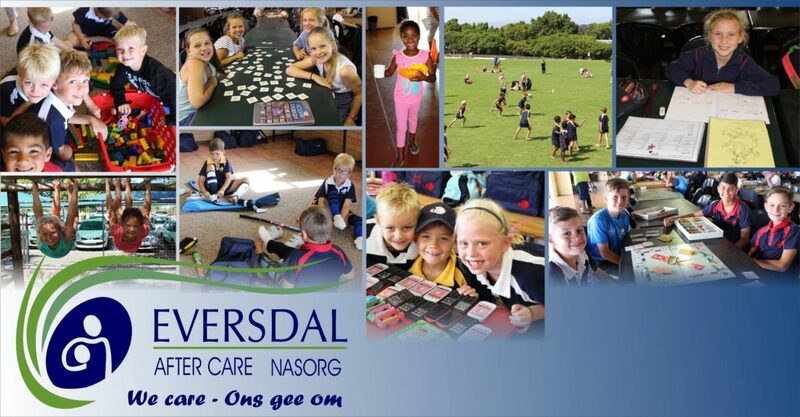 Staff members ensure that learners attend sport and extra-mural activities on the school grounds according to the programme and individual needs and preferences of the learners. Safety is of utmost importance and very strict control is in place regarding movement on the premises. EVER AFTERCARE is a happy place where learners also play and socialise in a healthy and safe environment amongst staff members who love children!